Cumberland Valley may be land-locked but there are still plenty of opportunities to get out on the water. From swimming to canoeing, kayaking, tubing or fishing... our unique river trails, serene lakes, and world-renowned streams promise a perfect day of fun in the sun. Or enjoy hours of splashing around at our community outdoor pools with slides, diving boards, wading pools for the little ones, locker rooms, and concession stands. If you don&apos;t have your own gear or you want to explore with the expertise of a guide, check out Susquehanna Outfitters or Blue Mountain Outfitters for rentals and guided adventures by canoe or kayak. 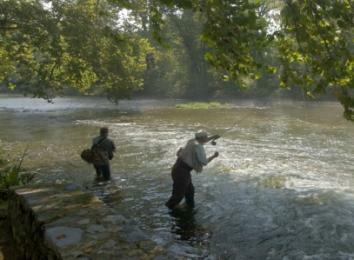 TCO Outdoors is your headquarters for fly-fishing gear as well as float trips and full or half-day guide services.